Many paths can lead to better transit service. However, each path has its own set of unique obstacles. These obstacles can take many forms. Fragmented suburban municipalities with quickly changing population and employment patterns make it challenging to implement rapid transit. Actual physical obstacles can keep those with disabilities from accessing fixed-route services, creating demand for more expensive demand response service. Traffic signals can help create efficient flows of traffic. However, buses do not always go with the same flow as general traffic. Transit Signal Priority (TSP) can give a boost to buses and help keep them on schedule. Learn how these gurus overcame the odds and created better service for all! As Chicago’s transportation infrastructure has been dominated by a rail and car binary for the last century, discussion of other alternatives has frequently fallen by the wayside. This session aims to explore possibilities beyond these modes, with novel approaches to transform transportation both within the region and the world at large. Session attendees will hear about efforts to better facilitate regional bike and pedestrian travel, explore how to better utilize Chicago’s extensive waterways, and consider how to help mobility options transcend the barriers of differing modes, institutional boundaries, and different payment structures. Breaking down market profiles and properly assessing customer needs is crucial to ensure the implementation of successful transportation solutions, regardless of mode or region. This presentation will provide insights into customer payment preferences across the globe, experiences with local transportation marketing, and focused market research that details how transit in the region can better respond to customer needs. As urban areas continue to attract jobs and new residents, a diverse mix of transportation options is vital to supporting economic development and providing a desirable quality of life. How can we invest in infrastructure and set policies to create dynamic transportation systems that meet the public need for both today and tomorrow? This session attempts to address that question by exploring current strategies being employed in the field to encourage multi-modal travel, promote affordable housing near transit, and leverage capital investments. Transportation technology is changing at the fastest pace since the invention of the automobile. In the not-so-distant future, connected and autonomous vehicles will potentially yield tremendous direct benefits and also bring myriad externalities to cities, transportation agencies, and everyday travelers. This impending paradigm shift suggests many questions: What does a self-driving future look like? What are the implications to planners, policy makers, and citizens? What steps need to be taken now to prepare for this future? This interactive discussion session will engage three experts with different perspectives on connected and autonomous vehicles. 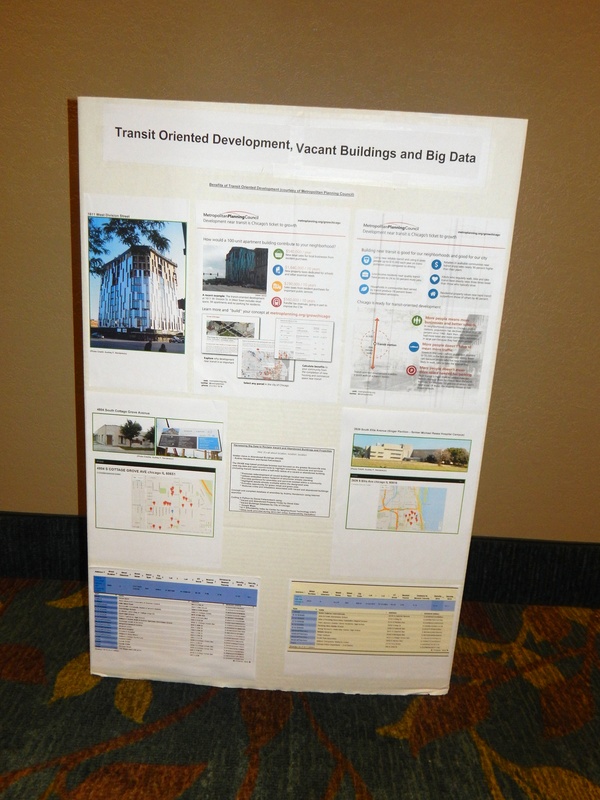 In addition to our usual lineup of moderated sessions, Transport Chicago will also feature a 30-minute Wildcard Session. With Wildcard Sessions, YOU set the agenda and lead the discussion! Have a new project you’d like to present? An emerging topic that you didn’t see on the conference program? Bring your ideas and propose a session! We’ll be taking submissions throughout the morning of the conference. All you need to submit an idea is your name and a brief description of the session you’d like to host. The format of the session is up to you. You can give a presentation, moderate a panel, or host an informal and interactive discussion for all to participate in. Submissions will be posted before lunch, and your fellow conference attendees will vote on their favorites. The top picks will be selected to host a 30 minute session from 2:30 to 3:00. Feel free to bring along any presentation slides, visual aids, etc., or go analog and just bring yourself! Good transportation options are built from a foundation that is responsive to customer needs. Attendees to this session will hear about efforts to provide the proper fit for transit users through a discussion of new commuter rail schedule implementation, equity considerations when planning bike-share expansions throughout greater Chicago, and the effect of income on the demand for transit. Open data solutions are emerging as a source of information for transportation professionals across the planning and engineering realms and can provide a wealth of knowledge to professionals and the general public alike. Leveraging the power of open data can empower professionals to conduct effective and wide-ranging analysis at the touch of a button. This session will demonstrate how open data analytics can help quantify the region’s access to transit, bring about more transit-oriented development, and support the rebuilding of our region’s infrastructure.